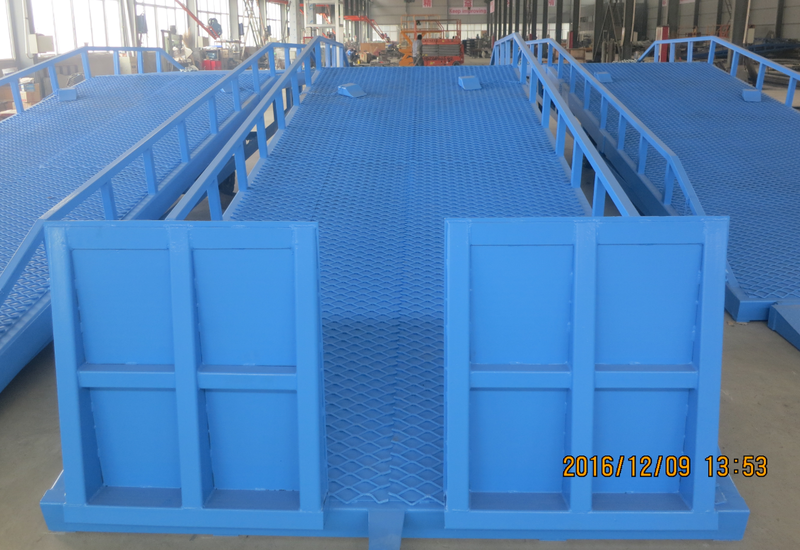 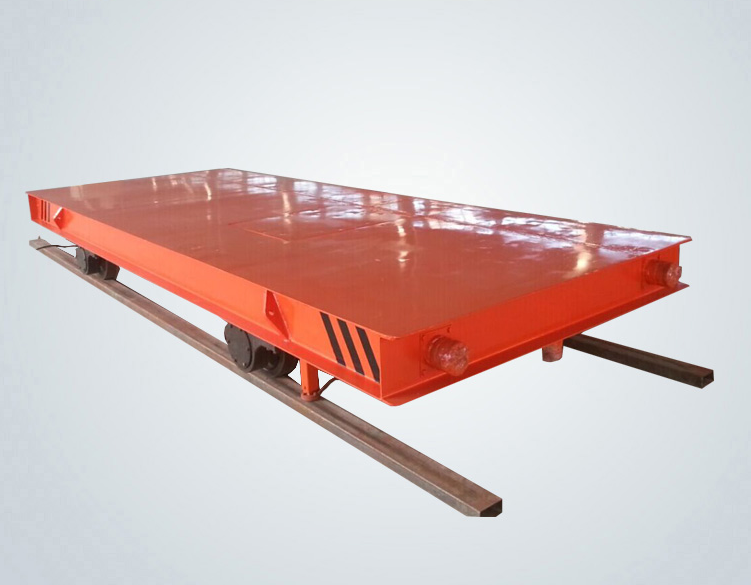 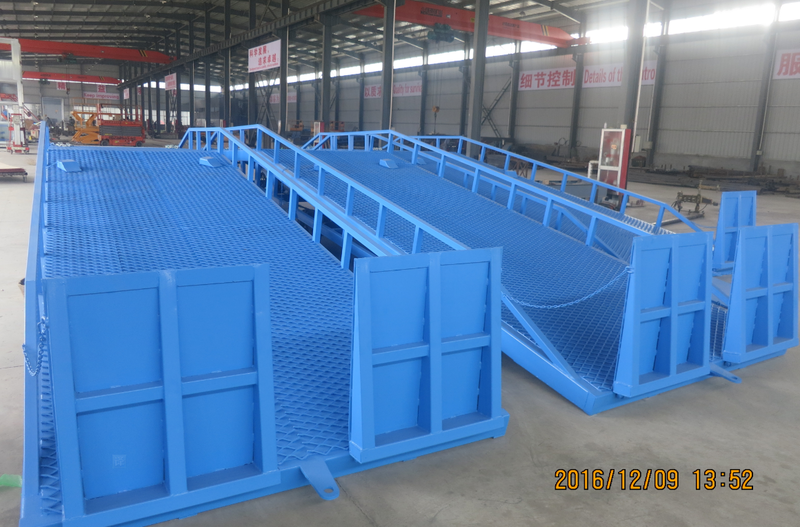 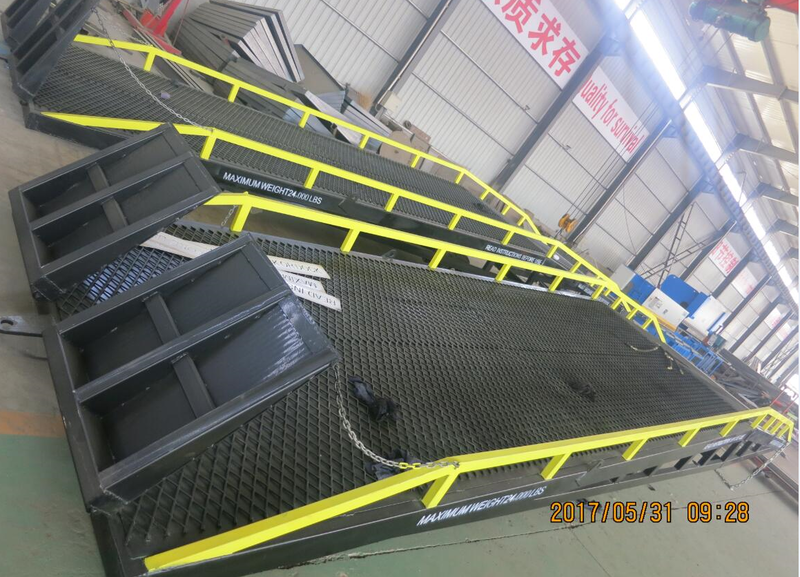 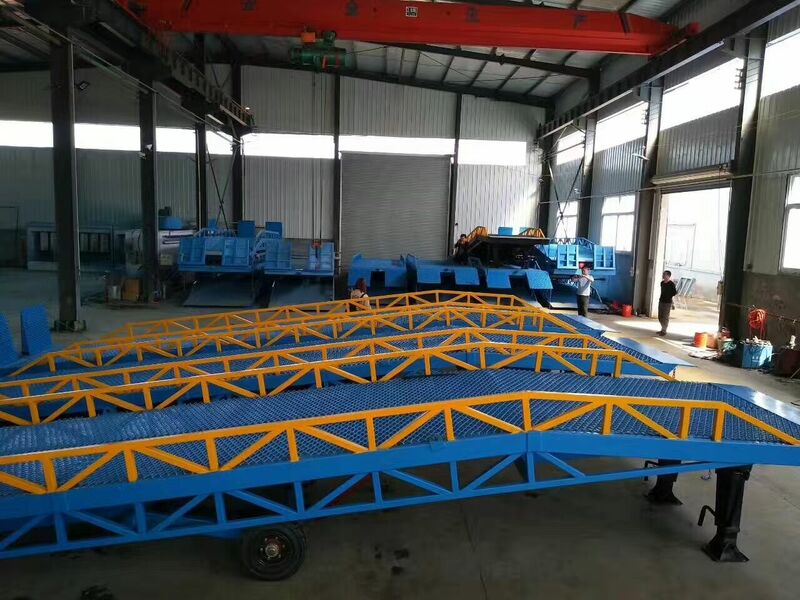 Mobile Hydraulic Container loading Ramp is a special auxiliary equipment for loading and unloading of goods rapidly. 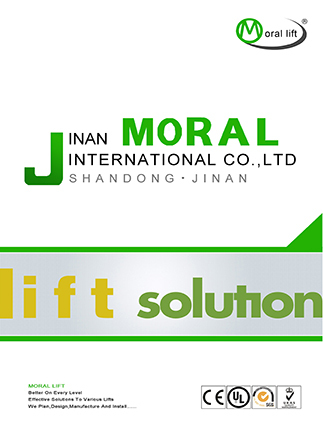 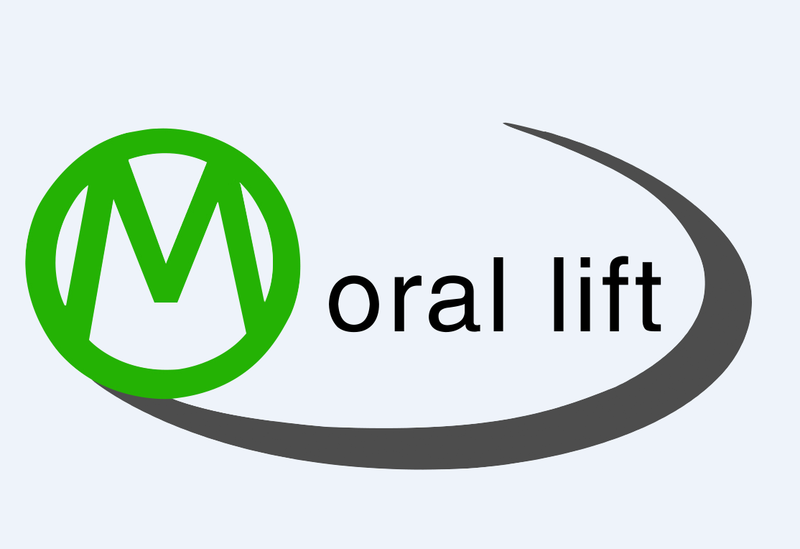 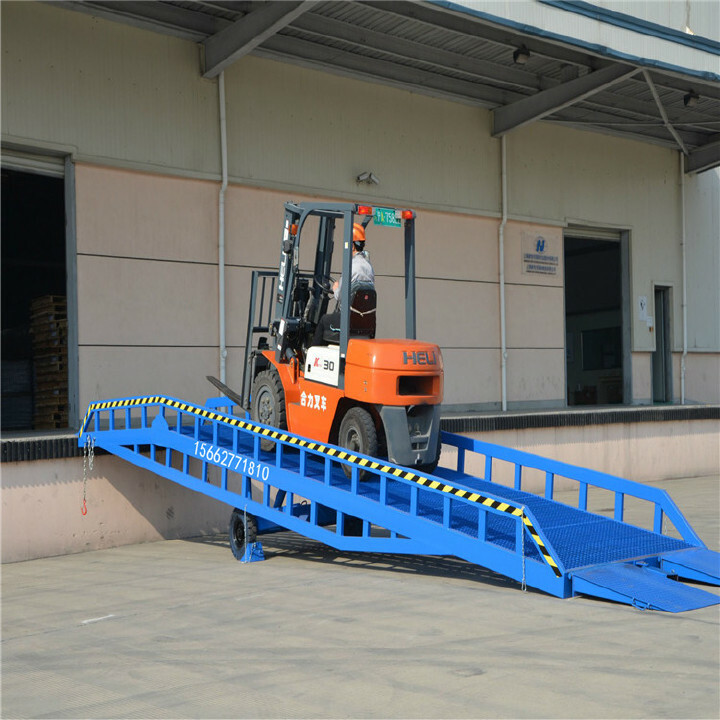 Its height adjustment feature allows forklifts and other moving vehicles to enter into the truck directly and handle the goods. 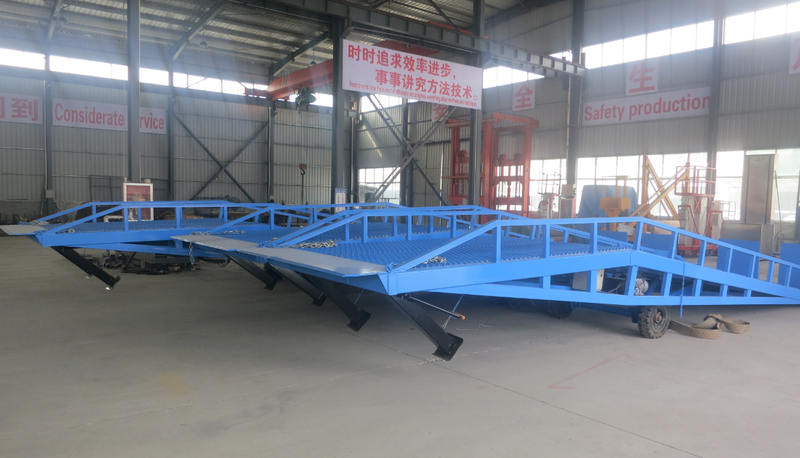 The dock ramp is mobile and controlled by manual hydraulic system, so only one person could operate it conveniently. 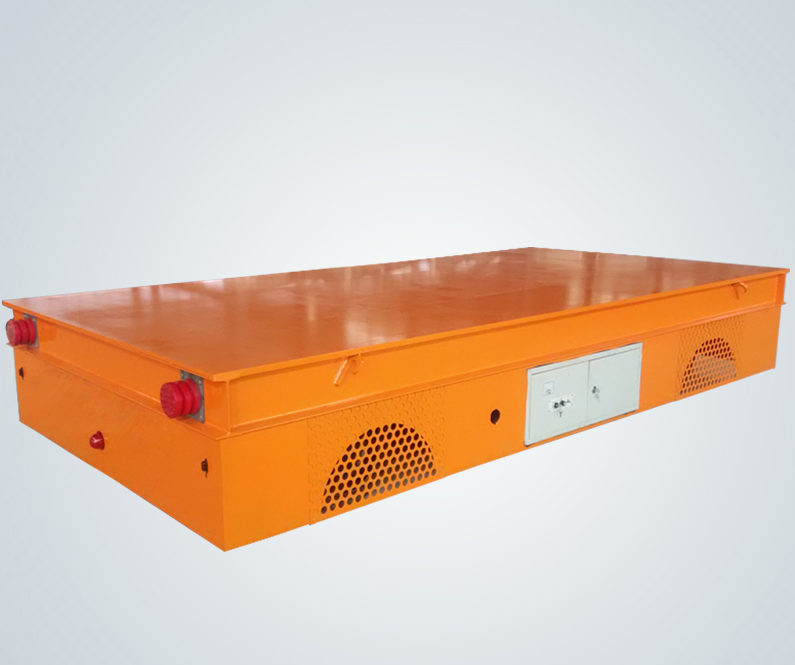 It enables you to reduce the amount of labor and raise working efficiency. 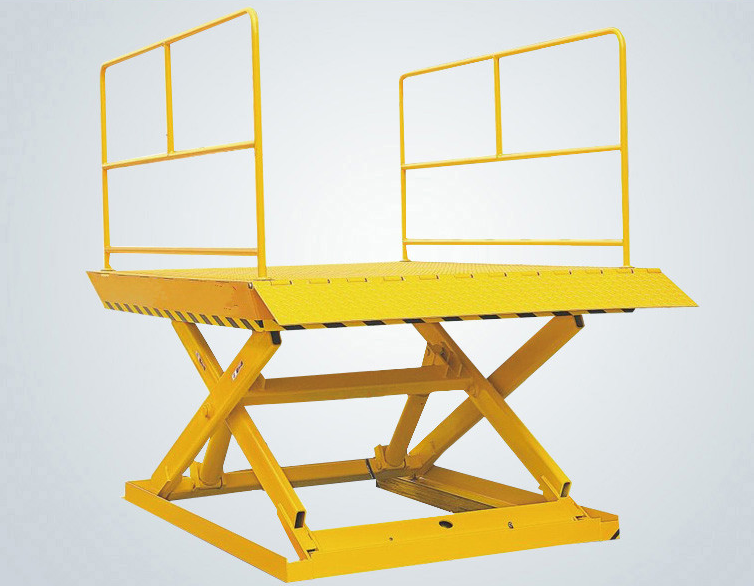 Hydraulic system:With handle pump, screw the return valve clockwise.Move the handle stick, to lift the ramp slowly.When the return valve is screwed counterclockwise, the hydraulic oil will go back, and the ramp will fall down on its own weight.Spin adjustable a leg.Prevent forklift into vehicle gravity concentrate on vehicle tail produce car overturned. 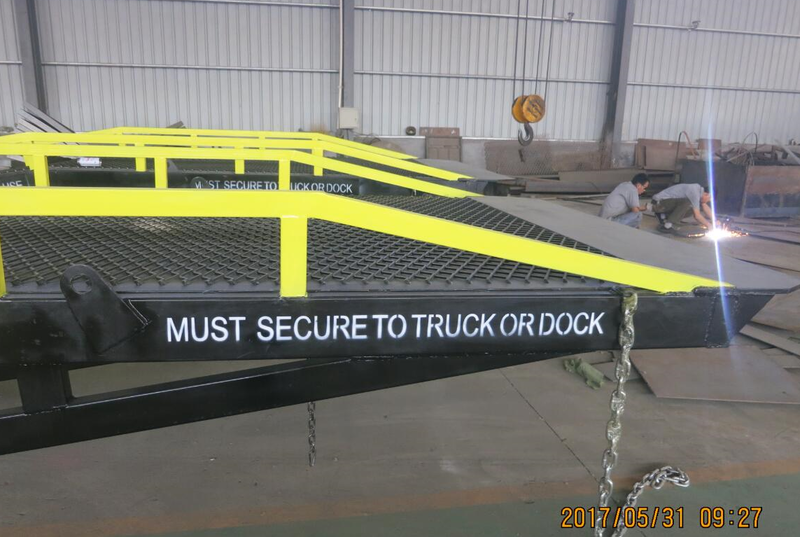 Can fully guarantee the operation safety. 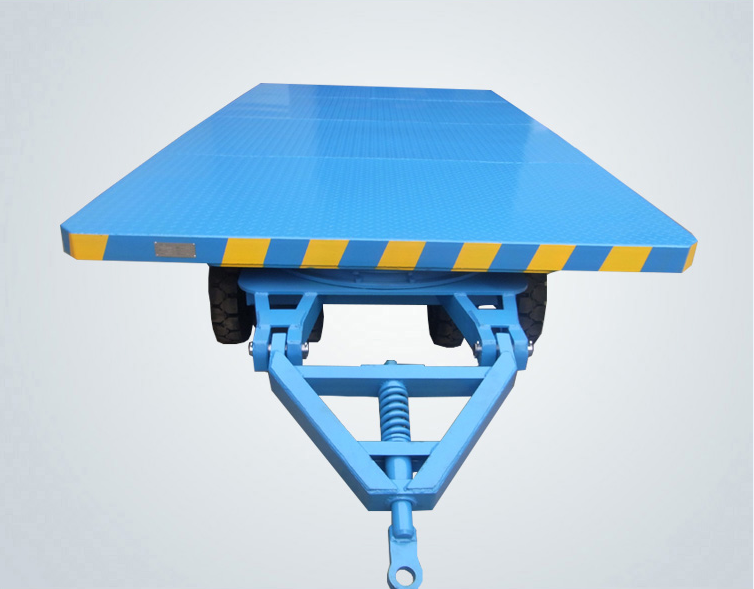 The different height to vehicles, suitable for height adjustment of vehicles. 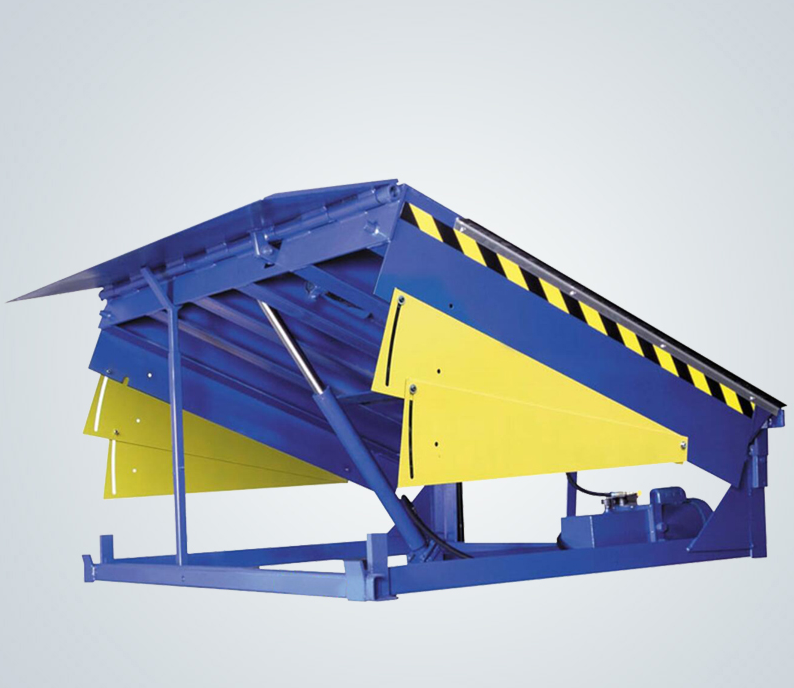 Hydraulic system ensure stable working. 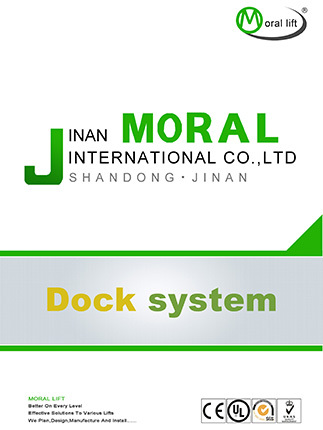 Manual operate,do not need electric.